"[PLIMPTON] Mary, w. Amos, Mar. 20, 1800"
Vital Records of Medfield, Massachusetts to the Year 1850 (Boston, Mass. 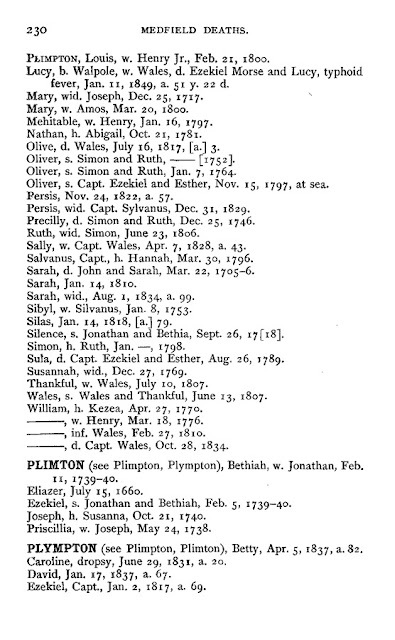 : New England Historic Genealogical Society, 1903), Deaths, page 230, Mary Plimpton entry. 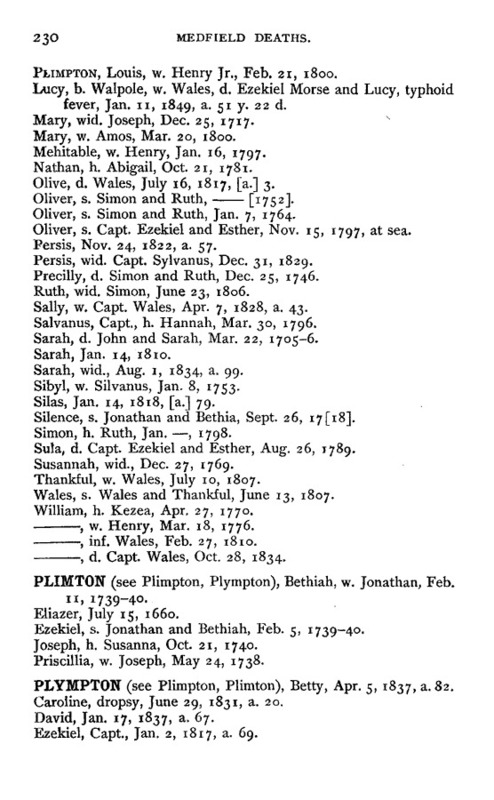 Mary Guild married Amos Plimpton (1735-1808) in 1756 in Walpole, and they had five children. They are my fifth great-grandparents. Their daughter, Mercy Plimpton (1772-1850) married Aaron Smith (1765-1841) in 1795, and had eight children.